Is it just me, or does anyone else think this girl looks a bit like Elvis? Well, maybe not, but her unique looks are the result of having a Malaysian mother and Indo-Fijan father. Tanita was born in Germany, but moved to England when she was in her early teens. The musician released some top quality songs during the late 80s, and her debut single, Good Tradition, remains her most successful, reaching #10 here in the UK. It was the lead single from her debut album Ancient Heart. The follow-up single, Twist in My Sobriety, wasn't quite as successful but was still a modest hit, peaking at #22 in the UK and #25 on the Modern Rock chart in the U.S. However, the song hit the top ten in several European countries, peaking at #2 in Austria and Germany. Despite a promising start, Tanita only ever achieved commercial success with these two top 40 hits in the UK during the 80s. Cathedral Song and World Outside Your Window which were released in 1989 (also taken from the Ancient Heart album) failed to hit the UK Top 40. The 12" Maxi single for Twist In My Sobriety included the tracks Friends (the B-side on the 7") and For All These Years. A CD Maxi single was also released which included all the tracks on the 12" and an extra track entitled For All These Years. A 1996 remix included five versions of the song (you used to get a lot of mixes for your money back in the 80s and 90s) although only reached #82 in the UK singles chart. A follow-up album entitled The Sweet Keeper was released in 1990 and reached #3 in the British album charts. Despite the album being a success, the singles it spawned were not. We Almost Got It Together, Little Sister Leaving Town and Thursday's Child all failed to break into the Top 40. 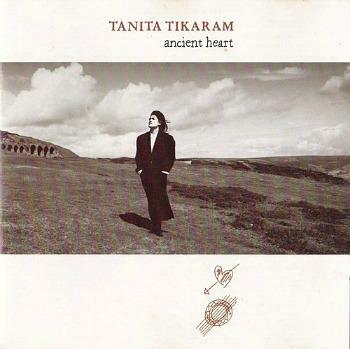 WHATEVER HAPPENED TO TANITA TIKARAM? 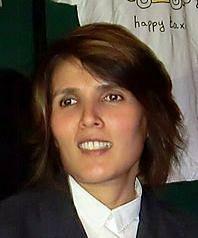 Tanita Tikaram continued to release singles and album during the 1990s and 2000's, although with little commercial success. Her most recent album was released in 2012 - Can't Go Back stalled at #147 in the UK charts. Since 2013, Tanita has been touring Britain and Europe.